This word “worship” is a contraction of 'worth-ship' but that's a little hard to pronounce so we say ‘worship’. We focus on the 'worth-ship' of Jesus Christ, Who indeed is worthy of all our praise and adoration! Amen?
. . . the hour is coming, and now is, when the true worshipers* shall worship the Father in spirit and in truth: for the Father seeks such to worship him. God is a Spirit: and they that worship Him must worship Him in spirit and in truth. 10 And Nadab and Abihu, the sons of Aaron, took either of them his censer, and put fire therein, and put incense thereon, and offered strange* fire before the Lord, which He commanded them not. 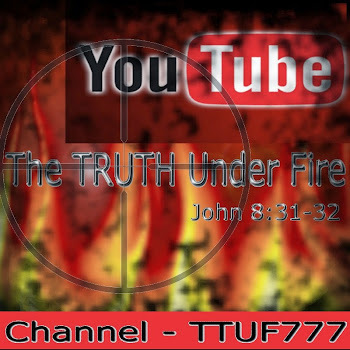 2 And there went out fire from the Lord, and devoured them, and they died before the Lord. *- The strange fire was incense that was not according to the command of the LORD, Who gave specific instructions for the production of this implement of worship: myrrh, cinnamon, kaneh bosem, cassia and olive oil. Nadab and Abihu decided ‘to do their own thing’ and come up with incense of their own. Look what happened. 8 This people draw nigh unto me with their mouth, and honor me with their lips; but their heart is far from me. 9 But in vain they do worship me, teaching for doctrines the commandments of men. So, we can rightly deduce that teaching the doctrines of the commandments of God is worshiping God rightly. God takes worship seriously! There is true worship, the only kind that God will accept, and there is false worship, which results in what we just read in LEVITICUS and MATTHEW! Would the LORD say that the church is indeed worshiping Him in Truth today? And in the Spirit? Would the Father have to seek diligently, even in the church, for such? 10 Humble yourselves in the sight of the Lord, and he shall lift you up. (see also 1 PETER 5:6). Give unto the LORD, O ye mighty, give unto the LORD glory and strength. Give unto the LORD the glory due unto his name; worship the LORD in the beauty of holiness. Give unto the LORD, O ye kindreds of the people, give unto the LORD glory and strength. Give unto the LORD the glory due unto his name: bring an offering and come into his courts. O worship the LORD in the beauty of holiness: fear (to express awe, wonder and reverence) before him, all the earth. When we live our lives by the power of the Spirit in holiness – that is surrendering ourselves, denying our sinful flesh, and allowing Him to fill us to overflowing with Himself – that is beautiful in the eyes of our Father – “worship[ing] the LORD in the beauty of holiness”. Worship in Spirit and in Truth first happened in our lives as Christians when we gave our lives and hearts to the LORD after receiving by faith, the truth of the Gospel of salvation! "Giving to God all that He is worthy of, in light of all that He has given to us, including His revelation of Who He is!" Consider what He has given to us: His Son! And more besides (ROM 8:32)! And what is it we give to Him in worship? Our time: in reading and studying the Word, in praying, our attendance in church, evangelism, discipling; we give our financial resources; and other things even more intimate: our heart, our will, our dearest dreams, our deepest pains, and most of all: our love! He indeed is our highest and best and dearest love (REV 2:4 “first love”). That love expressed to God is another crucial aspect of worship: because it’s centered upon the Person of God Himself - worshiping God not only for what He has given to us, but for Who He is! His holy character, His worthy attributes. In worship we exalt and extol God for all His beautiful virtues! He is holy (1 PET 1:16), He is love (1 JOHN 4:8); He is true, righteous, gracious, full of grace and truth (JOHN 1:14) merciful and having tender mercies towards those who seek Him in humility; He is wisdom (PROV 8:14) and possesses all knowledge, all power, all glory. The Lord reigns; let the people tremble: he sits between the cherubim; let the earth be moved. 3 Let them praise Your great and [awesome] name; for it is holy. 5 Exalt the Lord our God, and worship at his footstool; for He is holy. 9 Exalt the Lord our God, and worship at His holy hill; for the Lord our God is holy. We’ll look briefly at these four persons in the Scriptures as examples of true worship: Abraham, Job, Isaiah and David. 1) When ABRAHAM worshiped the LORD, he gave, he surrendered what the LORD asked for; and he was willing to sacrifice Isaac, his beloved son, his 2nd greatest treasure (this test proved that his first treasure is the LORD!) – the one through whom God made promises, the one that God referred to as Abraham’s ONLY son (leaving out Ishmael, Abraham’s first born). What we learn from Abraham is the sacrificial aspect of worship, expressing his faith out of a heart of obedience. That despite circumstances which seemed impossible, Abraham was devoted to GOD, the LORD of the Impossible! We also learn that worship in obedience to the WORD of God will bring us greater and deeper revelation and understanding of the WORD of God’s Truth. 19 And being not weak in faith, he considered not his own body now dead, when he was about a hundred years old, neither yet the deadness of Sarah's womb: 20 He staggered not at the promise of God through unbelief; but was strong in faith, giving glory to God; 21 And being fully persuaded that, what he had promised, he was able also to perform. 22 And therefore it was imputed to him for righteousness. And Abraham called the name of that place Jehovah jireh: as it is said to this day, In the mount of the Lord it shall be seen. 56 Your father Abraham rejoiced to see my day: and he saw it and was glad. What Abraham saw, I believe, was how God the Father would sacrifice what He did not allow Abraham to sacrifice: His own beloved and only begotten Son. 2) The LORD gave Satan permission to take everything from JOB: his wealth, his family and his health. Yet in these severest of trials, Job is faithful in worshiping the LORD: despite pain, suffering, tribulation – with no answers as to why these things happen to him – Job did not allow these sorrows and struggles to warp his view of the LORD God. What we learn from Job is what worshiping God in truth by faith looks like, according to Who He is, and not based on our circumstances; endurance in heavy trials and outlasting them! Job understood that while his own circumstances had changed suddenly, tragically, this didn't affect the nature, character, the attributes, the very heart of God Almighty! 20 Then Job arose, and rent his mantle, and shaved his head, and fell down upon the ground, and worshipped, 21 And said, Naked came I out of my mother's womb, and naked shall I return thither: the Lord gave, and the Lord hath taken away; blessed be the name of the Lord. 22 In all this Job sinned not, nor charged God foolishly. Behold, we count them happy which endure. Ye have heard of the patience of Job and have seen the end of the Lord; that the Lord is very pitiful, and of tender mercy. Then, after the most extreme and severest trials that anyone could possibly face, lasting for who knows how long, what did Job say? I have heard of You by the hearing of the ear: but now mine eye sees You. Job had greater and deeper understanding of the LORD after all was said and done. 3) ISAIAH had been a prophet of God for many faithful years up to ISAIAH 6. [He] said, Woe is me! for I am undone; because I am a man of unclean lips, and I dwell in the midst of a people of unclean lips: for mine eyes have seen the King, the Lord of hosts. And yet the LORD’s love for us is a constant, despite our uncleanness, even the deeper ‘wickednesses’ of our fallen nature that we are not aware of until the LORD reveals it to us – a never changing, absolute and faithful love for the saint as well as the sinner is the love that our God has for us! 6 Then flew one of the seraphims unto me, having a live coal in his hand, which he had taken with the tongs from off the altar: 7 And he laid it upon my mouth, and said, Lo, this hath touched thy lips; and thine iniquity is taken away, and thy sin purged. 8 Also I heard the voice of the Lord, saying, Whom shall I send, and who will go for us? Then said I, Here am I; send me (2 TIM 2:21; MATT 11:29-30). 4) King DAVID was a worshiper of God! Let us witness the sort of relationship David had with the LORD! It was because of the relationship he had, that he was called by God Himself, "a man after My own heart". Astounding! What an awesome expression! Why did God call David a man after His own heart? And when he had removed [Saul], he raised up unto them David to be their king; to whom also he [God] gave testimony, and said, I have found David the son of Jesse, a man after mine own heart, which shall fulfill all my will. His chief desire was to dwell with God, to behold His beauty, to learn of the ways of the LORD! But thou art holy, O thou that inhabitest the praises of Israel. The LORD Jesus Himself said that He walks in the midst of His church (REV 2:1). There were times when the Levitical priests couldn’t even minister in the Temple, because they worshiped the LORD God and His presence was so powerfully present and filled the house of the LORD (1 KINGS 8:1-11)! Worship allows the kingdom of God to further infiltrate the kingdom of darkness, pushing back the evilness of Satan’s domain. 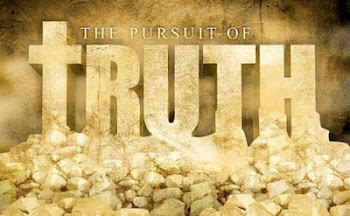 As we worship God in Spirit and Truth, Satan loses ground! As we worship God today, His Spirit is here, His Kingdom dominates this place, the enemy of the church has no claim to this territory! Also, as we truly worship the LORD, there is no room for our own pride, for any boasting of ourselves, what we have done for the LORD – cannot possibly compare to what He has done for us! True worship is a partner with true humility and the humbleness of a true saint of God in whom the enemy has no place or influence. 6 But he giveth more grace. Wherefore he saith, God resisteth the proud, but giveth grace unto the humble. 7 Submit yourselves therefore to God. Resist the devil, and he will flee from you. To “delight” in this verse is from the Hebrew word anog, and it means to be “delicate [sensitive], something very soft, pliable” in the LORD’s hand. The expression, “he was putty in my hands” carries this thought quite well. The one who delights in the LORD is one who is easily led by Him, sensitive to His will with a soft heart and a willing disposition to obey. To such a one, the LORD will give the desires of his heart. Worship brings to us an elevated perception and perspective of the truth; we see things as they really are. 2 My soul shall make her boast in the Lord: the humble shall hear thereof and be glad. 3 O magnify the Lord with me and let us exalt his name together. How can we magnify the LORD any greater than He already is? We don’t really – just as we look at a star through a telescope, we aren’t making the star bigger than it is, we are getting a closer look at that star and seeing it more clearly than before we magnified it. We focus on that star and adjust the telescope so that we can see it as clearly as we can. It’s the same with the LORD: as we magnify Him in our ‘telescopes’ that is worship: we are seeing Him with greater spiritual clarity, for Who He really is! And certainly we see Him as clearly in the written Word! Then we see our mountains of trials for what they really are: tiny ant hills in comparison to the ALMIGHTY!!! And the heavy burdens of sorrows and heartaches, the dark valleys of discouragement and depression are reduced to their right perspective as God is magnified and glorified in our worship. Worship is essential in our spiritual warfare – many examples of this in the Old Testament. JOSHUA 6 Joshua and Jericho: Jericho was an undefeatable, impregnable city, with walls so thick, so wide that chariot races could be conducted on them. There were entire residences built into these walls. How could these recently released Hebrew slaves from Egypt ever hope to conquer this incredibly powerful enemy that none before having ever defeated? The enemy can sometimes come against us with such ferocity, and the trials and tribulations that confront us relentlessly – that overwhelm us and render us hopeless. We see the enormous walls that stand opposed to us and wonder how we will ever overcome them? 6 And Joshua the son of Nun called the priests, and said unto them, Take up the ark of the covenant, and let seven priests bear seven trumpets of rams' horns before the ark of the Lord. 7 And he said unto the people, Pass on, and compass the city, and let him that is armed pass on before the ark of the Lord. 8 And it came to pass, when Joshua had spoken unto the people, that the seven priests bearing the seven trumpets of rams' horns passed on before the Lord, and blew with the trumpets: and the ark of the covenant of the Lord followed them. 9 And the armed men went before the priests that blew with the trumpets, and the rearguard came after the ark, the priests going on, and blowing with the trumpets. What led the armies of Israel were the priests of the LORD and the ark of the covenant – ministers of worship that led the military to victory! Defeat of the enemy and the walls that he puts up to keep us back, is accomplished as we worship God! 2 CHRONICLES 20 Jehoshaphat and the multitude of the enemy’s armies: Insurmountable odds in the armies of three nations came again King Jehoshaphat and Israel – but Jehoshaphat “feared and set himself to seek the LORD and proclaimed a fast throughout all Judah. . . they gathered themselves to ask help of the LORD. . . they came to seek the LORD” (2 CHRON 3-4). 12 O our God, wilt thou not judge them? for we have no might against this great company that cometh against us; neither know we what to do: but our eyes are upon thee. 21 And when he had consulted with the people, he appointed singers unto the Lord, and that should praise the beauty of holiness, as they went out before the army, and to say, Praise the Lord; for his mercy endureth for ever. 45 Then said David to the Philistine, Thou comest to me with a sword, and with a spear, and with a shield: but I come to thee in the name of the Lord of hosts, the God of the armies of Israel, whom thou hast defied. 46 This day will the Lord deliver thee into mine hand; and I will smite thee, and take thine head from thee; and I will give the carcases of the host of the Philistines this day unto the fowls of the air, and to the wild beasts of the earth; that all the earth may know that there is a God in Israel. Worship is a form of communication directly to the LORD; it is a form of prayer, and we know that the prayer of the saint is a direct connection with God (REV 8:3, offering of the prayers of the saints with the golden censer by the angel in heaven). This isn’t some song-fest around a camp-fire we get together for, where we sing about God. We are really interacting and worshiping God directly no less on the Earth than the day we will find ourselves in heaven, beholding His Face and giving Him glory. It’s only that we see darkly now, and then Face to face (1 COR 13:12) – but our worship of God is just as real now as it will be then! 10 The four and twenty elders fall down before him that sat on the throne, and worship him that liveth for ever and ever, and cast their crowns before the throne, saying, 11 Thou art worthy, O Lord, to receive glory and honor and power: for thou hast created all things, and for thy pleasure they are and were created. It’s on that day that we see Him, and He renders to us crowns and rewards for faithful service to Him, that we turn around and cast those crowns to His feet, worshiping Him and glorifying Him for all that He has accomplished through our lives. Rewards granted in heaven are testimonies of God’s enabling grace in our lives, revealing how we were the hands and feet of JESUS in the lives of others – and we offer them up to the LORD as worship and thanksgiving for what He has done in us and through us! Therefore we should endeavor to yield to the LORD, giving Him ‘our all’ – it will result in far more powerful worship of the LORD on that blessed Day when we see Him! 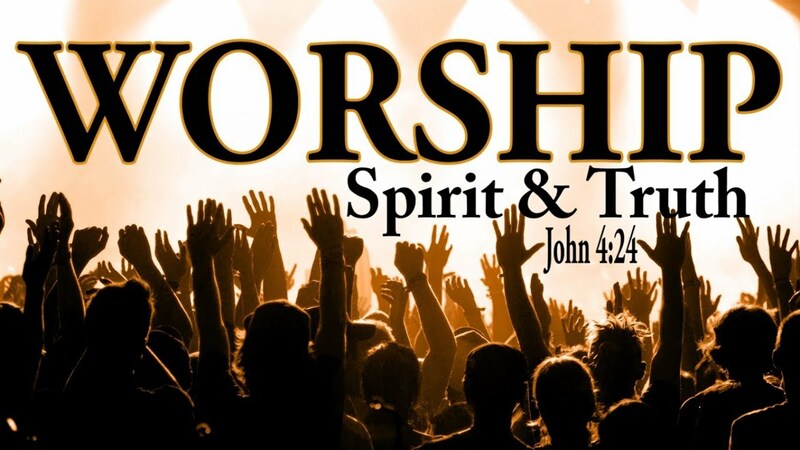 Worship is an all-encompassing way of life for the Christian – worshiping God in our lives, our hearts, our service – all that we do, we do in the name of the LORD Jesus Christ (COL 3:17). Let’s enter into worship with a renewed sense of wonder and reality that our offering is truly received at the throne of God, this very hour! As the hart panteth after the water brooks, so panteth my soul after thee, O God. 2 My soul thirsteth for God, for the living God: when shall I come and appear before God? 3 My tears have been my meat day and night, while they continually say unto me, Where is thy God? 4 When I remember these things, I pour out my soul in me: for I had gone with the multitude, I went with them to the house of God, with the voice of joy and praise, with a multitude that kept holyday.5 Why art thou cast down, O my soul? and why art thou disquieted in me? hope thou in God: for I shall yet praise him for the help of his countenance. Encourage yourselves in worshiping God, focusing on your LORD and Savior, not your circumstances! Be determined, like Job, to honor and love the LORD no matter what may come in this life.